The job of the finance function has seen tremendous transformations in the last five years. From a keeper of books, it has more evolved towards being a business partner, delivering insights and driving key strategic decisions. The immensely changing regulatory requirements make this function even more challenging, what with the finance function being torch bearers for good governance and incorporate financial discipline. This article from Illuminar, discusses process improvement opportunities in finance processes. Finance organizations are no longer just keepers of the company’s standard accounting, reporting and control functions, but have evolved to become business partners to help steer the company towards their goals. Given the huge competitive and price pressures coupled with market uncertainty and increasing regulatory reform in most markets, the CFO is really taking a more strategic view of their role. Finance organizations are taking a leading role in corporate portfolio management, investor relations or even communications to the board. To perform their role in a better way, CFO’s need timely insights based on information from multiple data sources. 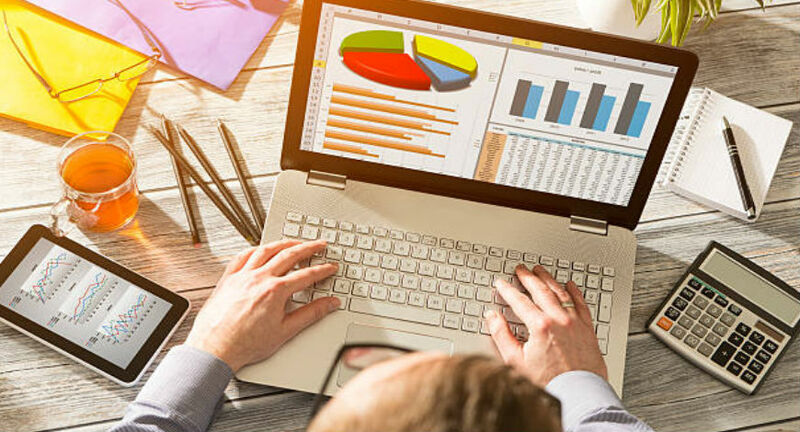 According to recent research, close to 87% of organizations need to analyze performance data quickly to meet growth targets. 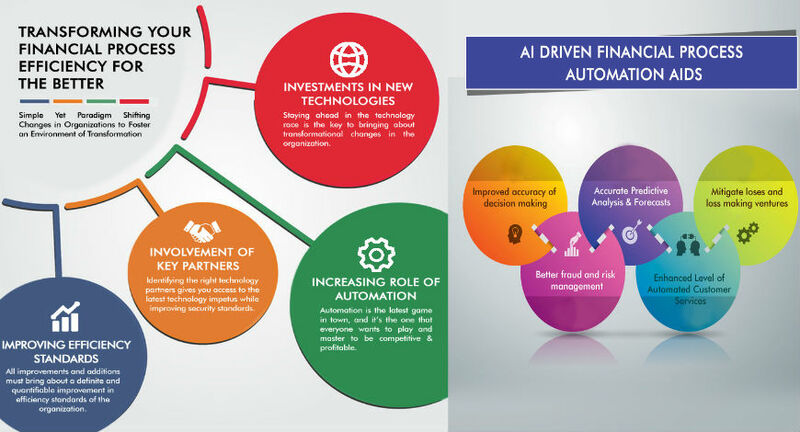 Technologies have started to drive finance transformation in an unprecedented way. This story captures the top processes that are driving technology adoption in the finance organization, and its impact on the finance function as well as across the enterprise. Cyber-security, data governance and controlling data flow: The CFO organization is expected to play the role of a guardian, in ensuring that there are no data breaches and consequent exposure to immense risks. Data governance is extremely important. There are several technologies that support in ensuring the availability and accessibility of actionable data and ensuring that information is safeguarded. The CFO organization plays a very important role in building an organizations’ data governance strategy in line with the priorities of the functional organization and the enterprises’ overall strategic objectives. Traditionally, governance has been linked to excessive scrutiny and consequent slowing down of information flows. However well functioned organizations use governance to expedite the exchange of information and facilitate data driven decisions. Data in such organizations is being managed intentionally and not just as an after- thought. Data security, data privacy, data architecture, data quality, records management and data operations are areas where the CFO organizations work with the technology and management teams, to put together a solid foundation for ensuring not only adequate privacy and governance but also drive better information flows across the organization. Business Insight: Finance organizations also focus on putting together effective processes and technologies to integrate information and deliver better business insights. Data and information is in siloes across most organizations and while there is plenty of data, getting insights to information is a real challenge. Progressive finance organizations focus on establishing a governance structure and data integrity apart from ensuring that the right stakeholders have access to data when required. They focus to continuously enhance Insights into enterprise performance, growth, customers, competitiveness as well as risks. Significantly reducing cycle time to close: The finance organization is today more complex than ever. The intercompany environment and consequent complexities are only making the closing process more challenging. The closing process is costly and requires dedicated resources for many organizations. The average cycle time to close, analyze and then distribute reports takes a significant amount of time for enterprises, and then it is time to prepare for the next close. Typical close processes require comprehensive documentation, lots of collaboration and communication. Enterprises have invested in automating this process with best of breed solutions that automate the account reconciliation, task management and consolidation processes for enterprises. These technologies result in over 70% cycle time reduction to close and a better managed process as a result of improved transparency and a far more efficient process. Simplifying processes: Highly effective finance organizations typically have implemented process simplification as well as standard and common policies at a far higher rate. Cost reduction and ability to better manage risks are natural fall-outs. Several enterprises have optimized the delivery model in the form of shared service set-ups and automation of the processes therein, to ensure transparency and visibility to the process as well as enhance process agility. These could be either local/ regional or global shared services and take various forms of either fully outsourced or have internalized shared service processes. There are significant benefits of a well-executed shared service organization including significant process agility due to SLA driven and governed processes. Technologies adopted to run processes also needs to be rationalized and simplified. Highly effective enterprises run with reduced ERP instances and integrated budgeting and forecasting tools, planning and general ledger. This in turn reduces the time spent on gathering or consolidating information, the number of reconciliations required as well as data inconsistencies between finance and business. The efficiencies of the finance organization depend not only on automation, but around more fundamental aspects of the team’s skills, how the team is aligned and structured and the complexity of the company’s business. For instance, some enterprises align their finance teams in a way that all production related tasks such as accounting, reporting, budgeting and forecasting etc. could be assigned to a separate team vs. customer facing business analysis or regulatory teams who will work with the respective functional heads to steer the division in the right way and ensure value creation. The finance department is clearly moving from a transaction driven to more of a strategic partner for business unit heads and the management. Good practices in the finance organization have now evolved to include a great balance between a standard stewardship role to that of a value driver where they’re a critical stakeholder in driving the business forward towards growth and high profitability. While adoption of technologies is an absolute sine qua non for the finance organization, good finance organizations also focus on realigning their structures, processes and methodology to make themselves far more effective in partnering with business to drive enterprise performance. This requires the finance department to get back to basics by answering some fundamental questions around what they are expected to deliver to business, what technology is required to deliver this most effectively and what skills and roles will enable them to get there.